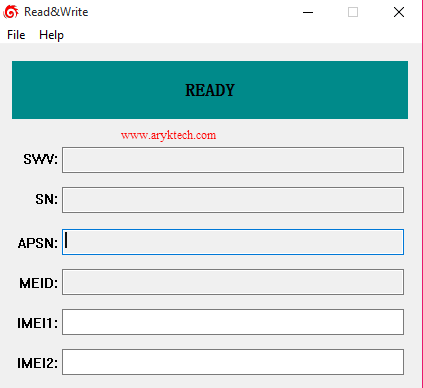 Read&Write Tool is one of the few Windows PC Tool that can flash and write IMEI on Qualcomm, MTK and SpreadTrum devices. Unlike MTK Droid Tools and WriteCode Tool that supports only MediaTek devices and SpreadTRUM Android WriteIMEI Tool which is being used for only SpreadTRUM devices. Here, I discuss how to write/flash IMEI on either Qualcomm, MTK or SpreadTRUM android devices using Read&Write Tool on your Windows PC. You can only use this Read&Tool for either MediaTek, Qualcomm or SpreadTRUM powered devices. You must have ADB Drivers for your device installed on your PC. It is recommended that you have at least, 20 - 30 percent of battery on your device. 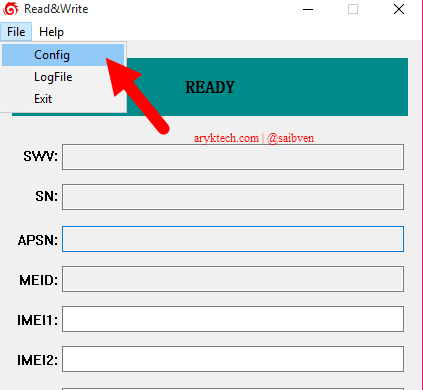 Now, we may proceed to the step by step instructions for flashing IMEI on either Qualcomm, MediaTek or SpreadTRUM android device using Read&Write Tool as followed. 1. Download Read&Write Tool and on your computer from the link. 3. Now, Open WRTool.exe preferably as admin. 5 Now, Open Settings by going to File > Config. 6. Now, at the settings screen, look carefully on the screenshot below to choose the chipset of the phone and the COMPORT. E.g QQcomm for Qualcomm and COMPort 21 for the port. 9. Now, under DataFileConfig choose BP and AP file from your device stock firmware file. 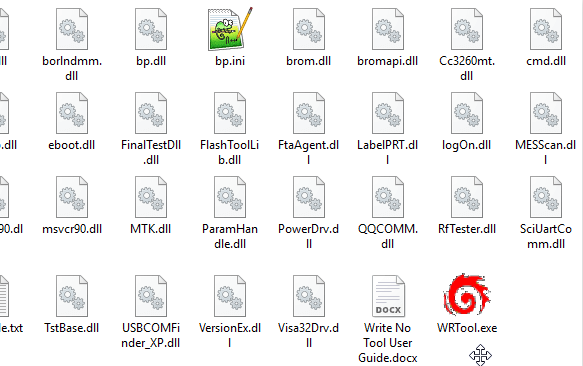 These files come with the mediatek stock firmware. -these applies to only MediaTek devices. 10. In the case that your device is dual SIM, select the IMEI1 and IMEI2 then Click on OK to continue. 12. Now, Click on Write to begin Flashing Process. 13. As soon as Read&Write Tool is done writing or Flashing the IMEI on the device you will see a green Pass message. CONGRATULATIONS! You have just successfully flashed new IMEI on your device.